Hope everyone had a great holiday. While I recover from my first Nachtzug experience (more on that later), I wanted to share an essay that some of you might be able to relate to--especially if you are a trailing spouse. I think most of us Fraus and Hausmanns know that in the end, it's worth a little identity confusion for the opportunity to live and travel abroad. But that doesn't mean it is always easy. After all, the first time I translated what was on my Swiss permit, I practically had a heart attack. It was something like: "Only allowed in country because of Husband. Not worthy otherwise." 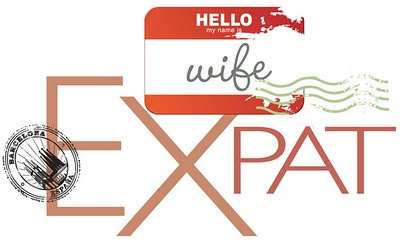 Read my essay, Expat, in Skirt! Magazine this month for more on identity at a (European) crossroads. whoa! off to translate my permit. Of course, my translation of the permit speak is a loose one...or perhaps an embellished one. :-) But it basically says just that. Just so you know, the permit explanation has nothing to do with being a tag-along wife. I was in Switzerland working before I met my husband, but when we got married, my permit changed to "family reasons" as well -- even though nothing but my name and marital status had changed! Chantal, this is a great essay, probably the best I have read on your blog... When I moved here five years ago I had the same fears, that's why I got a job first and then moved in with my Swiss boyfriend (now husband). I can assure you, you are not just a wife. Because, see, I do not know Brian or his boss, but I know your writing. And I like it :)! Yo, thanks. It's great to hear you liked the essay. I appreciate your feedback. Yes, I know I'm not just a wife. But some days in Switzerland (especially with the way women are often treated in society here) it's hard not to feel otherwise. Good luck with the baby. That will keep you busy! I can so identify just being the wife while I was in Geneva. Now living this post expat life - I am so happy I sacrificed my previous job title for the experience. It certainly changed the course of my life forever, as well as the perspective of taking things slow! Thanks. Good to hear from you and I'm glad that looking back on it all it was a good experience. Thanks. Yes, it's been a great experience to learn how to slow down the pace of life and really see things instead of always rushing through them. I can relate and I love that you ended your essay on a positive note. It's been interesting to examine my life as a career woman in NYC, vs. a Hausfrau who doesn't even have kids to raise. What defines me and what gives me a feeling of self worth? I've heard the work ethic in Switzerland is much better than the US. It's not assumed you will work late hours and weekends and holidays. We'll see what happens. My job search has begun as of this week. I hope to find balance. Being a Hausfrau has its perks. Yes, work/life balance is better in Switzerland, especially from the perspective of part-time work. Many corporations allow men and women to work 40-80% jobs and I know some parents who both work 80% so they can each have one day a week with their child. That is really nice. And working the weekend is not usually a must. You're not even supposed to do laundry on a Sunday, let alone work! Europeans in general are fine with enjoying more time off in exchange for less material items. I kind of like it. Best of all, whether you get a lump sum of cash or a lower monthly payment from the new mortgage, you can stash the savings and use it to pay cash for future purchases for which dissertation writing services you otherwise would have had to borrow money at a higher, non-deductible interest rate.